One of New Zealand's leading Country/Rock Contemporary singers suitable for indoor or outdoor festivals, country or folk themed functions, weddings, venues and many other private or corporate functions, parties and events. One of the hottest young country rock artists performing today. Best Male Vocalist and Best Overall Performer. He is also the 2002 NZCMA Entertainer of the Year Songwriter Winner. and 'Best Senior Country Rock'. JamesRAy's growing popularity in the Kiwi music scene has beckoned him to share the stage with such well know Kiwi artists as Paul Ubana Jones, Hammond Gamble, Brendon Ham, Marian Burns, the Topp Twins, Jodi Vaughn and international touring artists like the Amazing Rhythm Aces, the Warratahs and Donna Dean just to name a few. Many may have seen and heard JamesRAy during his national TV appearance on NZ TV One's Good Morning Show. 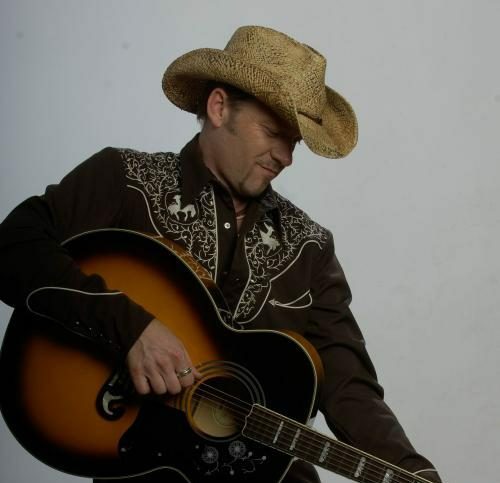 Others may have heard JamesRAy on various local radio stations as a result of his growing popularity in the Country Music market in New Zealand. JamesRAy has become known for his own style of alternative 'feel good' country and rock music as well as his award winning song writing talents. "His fresh approach to acoustic country rock and his brilliant song-writing ability lead me to think that it won't be long before he is a household name in this country. " - Diana Edwards of Rock it Promotions. Is JamesRAy his real name and is the "A" in "RAy" supposed to be a capital letter? In his own words: Yes. That is my real name. It is my first and middle names put together. Where I grew up in Arkansas it was common that our first and middle names were used as if it were one name; even when we weren't being yelled at for getting into trouble. If we were getting in trouble then it was the whole given name (ie. JamesRAy Still!). Now, the reason for the capital "A" in "RAy" was initially a typo caused by me not getting my finger off of the 'shift' key fast enough after typing the "R". Because I was always having to back space to correct my typo I finally decided that it must have been one of those things that 'is just meant to be.' :-) Some people have told me that they don't like seeing my name spelled like that. And, some friends just call me J.R. for short.